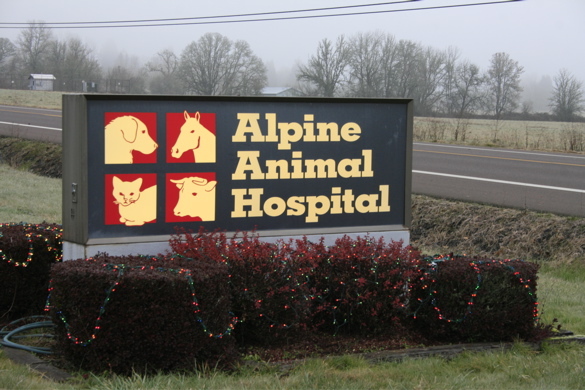 If it is your first time visiting our hospital, look for our easy to spot sign down by the road in front of the clinic. 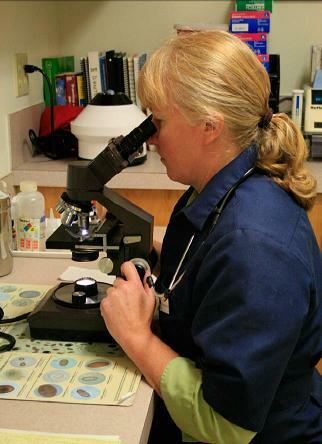 Dr. Porter analyzing a microscopic specimen. 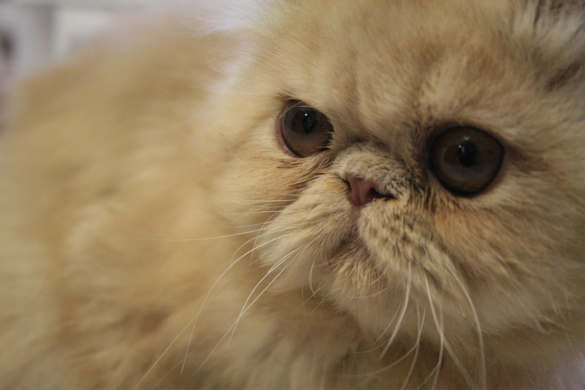 We love to see all our cute patients! Our hospital loves to participate in OSU Pet day every year. 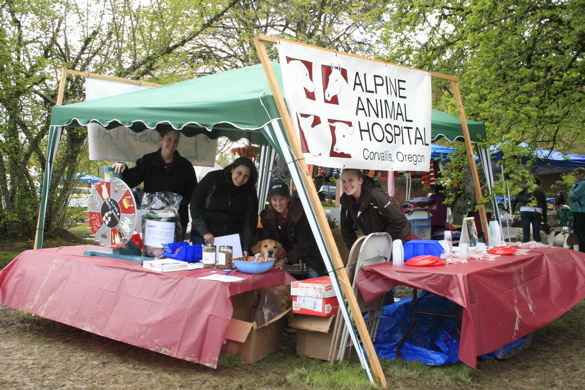 It is a really fun, pet friendly event that usually occurs the first weekend of May. 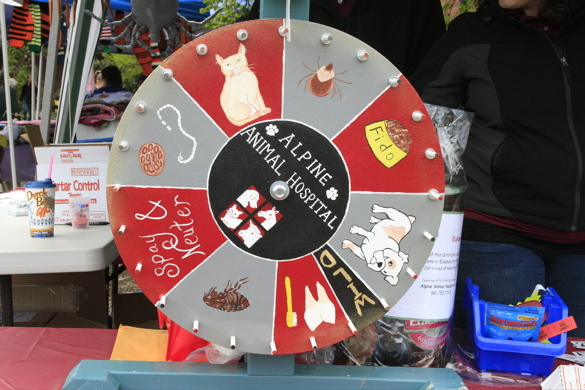 Come play our spin and win, pet health trivia game at Pet Day and win some cool prizes and gain some knowledge! 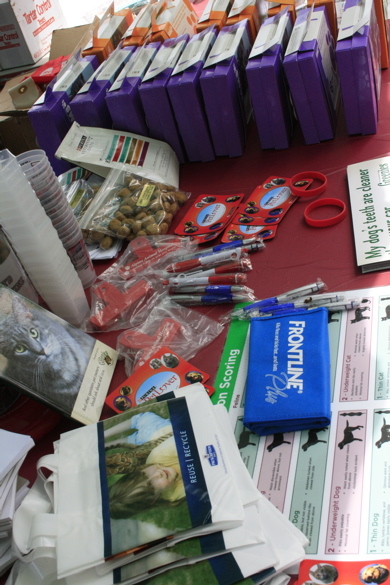 Let us answer your pet questions and give you some cute pet stuff at OSU Pet Day!